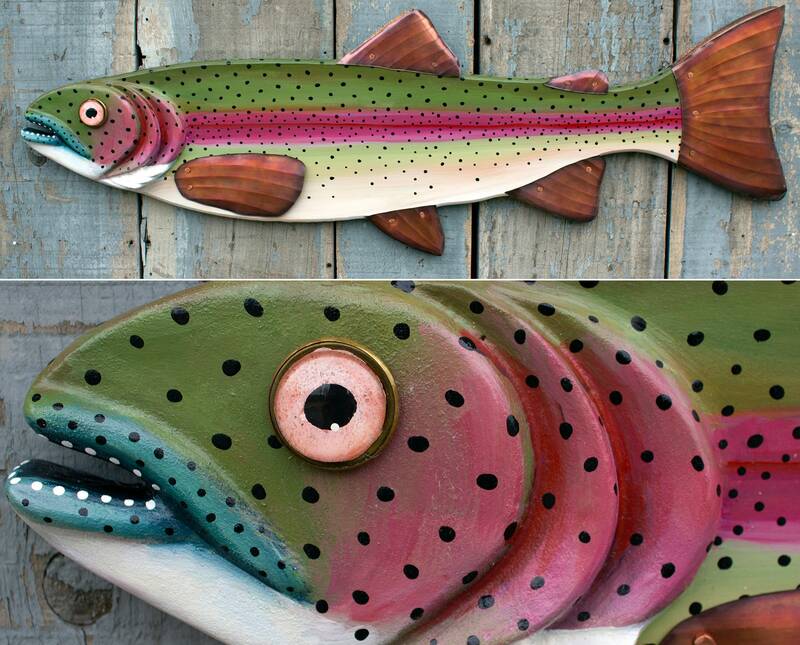 Rainbow Trout, Folk Art Fish Wall Art 37"
Part of the Rachel Laundon Art folk art fish collection. 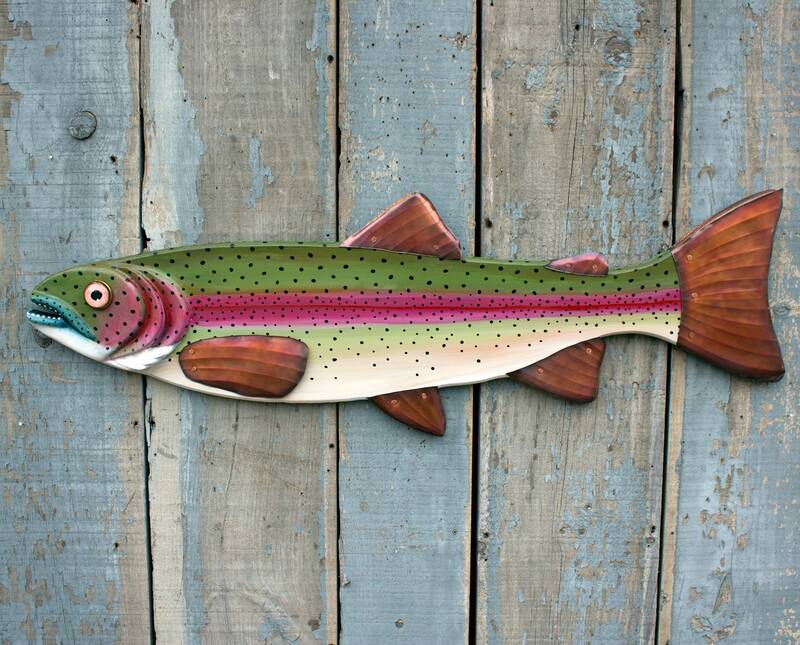 This large majestic Rainbow trout will look awesome swimming on your wall to remind you of your last fishing adventure, as a conversation starter or just to make you happy! Created tip to tail by Vermont artist Rachel Laundon. 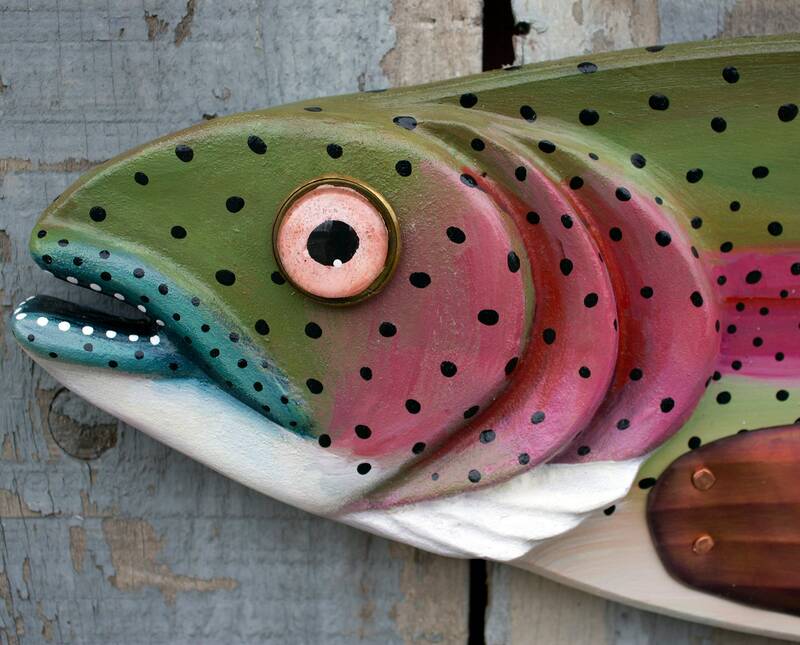 This piece is an original, carved from wood and painted with fine art acrylic in a the vivid colors characteristic of this trout favorite. 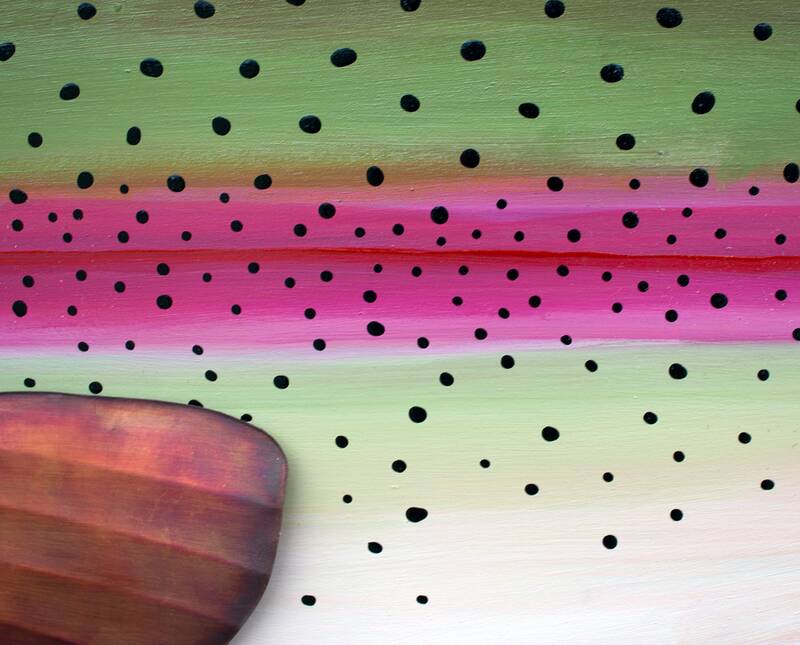 The fins are created from hammered oxidized copper that looks amazing against the painted wood. The eyes are hand-painted clear glass cabochons and layered re-purposed metal . This particular fish would look great above a mantle, swimming in the bathroom, or even hanging outside on a porch/covered deck. 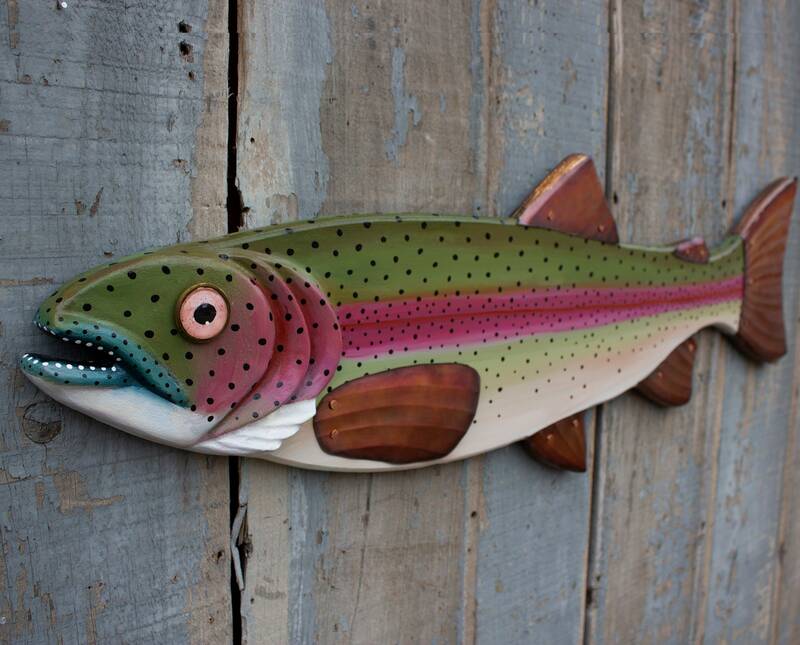 A perfect fit with log home or cabin decor.